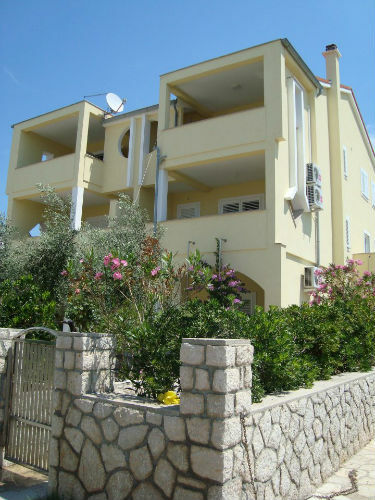 Newly built house in the beautiful Stara Novalja on island Pag. Each apartment is newly renovated, air conditioned, has a plasma TV, new kitchen, new bathrooms, its own staircase and comfortable parking. The distance from the sea is about 30 meters where there is a private beach. There is a possibility of connection to the boat.